Everything we do here at Family Dental Practice of Newington starts with prevention. Why? Because it’s much easier to help you avoid dental problems than simply fix them as they pop up. This approach won’t just keep your smile looking and feeling much better over the years, but it will also help you avoid the need for more involved and extensive procedures! 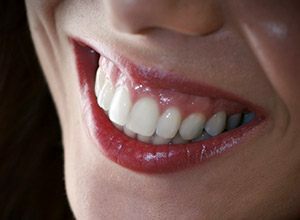 With just two preventive appointments each year, we can give you a problem-free smile that never needs a second thought. Is it time for your next checkup? If it’s been more than six months since your last one, be sure to give us a call today! Your standard preventive appointment will consist of two basic but extremely effective services: a cleaning and a checkup (also known as an oral exam). 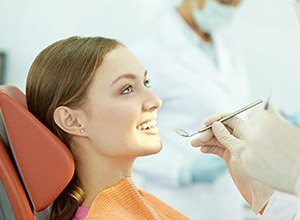 One of our excellent hygienists will use specialized instruments to thoroughly remove any plaque or tartar from your teeth and gums, and then your dentist will perform a comprehensive exam so they can catch any dental problems you might have at their earliest stages. This way, your dentist can treat them well before they can damage your smile. Nearly 50,000 people will be diagnosed with oral cancer this year alone, and many won’t survive the next five simply because the disease was caught too late. When detected early, it is very easy to treat and has a high survival-rate, which is why oncologists recommend that everyone should receive at least one oral cancer screening per year. Your dentist can perform one as part of your regular checkup, and should they find anything that causes concern, they can help you take quick and appropriate action. Do you typically wake up in the morning with a sore jaw, or do your teeth appear to be worn down? If so, you may be suffering from bruxism in your sleep, or unconscious jaw clenching and teeth grinding. Left untreated, this condition can severely damage your teeth and even strain your jaw. To help you sleep a little easier, we can provide you with something called a nightguard. This is a small, custom-made mouthguard you’ll only need to wear to bed, and it will place a comfortable barrier between the teeth to prevent them from grinding together. Fluoride is a natural mineral that has long been shown to strengthen the teeth against tooth decay and cavities, and this is why it can be found in most toothpaste and public water sources. Due to an increase in the popularity of un-fluoridated bottled water, however, more and more people are missing out on fluoride on a daily basis, leaving their teeth vulnerable. That’s why our team is more than happy to provide a supplemental fluoride treatment during your normal checkup to keep your teeth nice and healthy between appointments. One of the most common kinds of sports injuries are actually dental injuries, and that’s true for contact and non-contact sports alike. 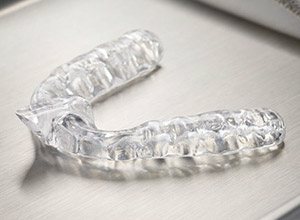 So, the next time you hit the field, court, or mat, be sure to wear a protective mouthguard. We can make one specially-designed for your smile from a strong and flexible material that will help it fit comfortably over your teeth and not interfere with your breathing or speaking. It’ll also do a much better job of defending your smile than anything you can pick up at the store. Periodontal therapy is used specifically to help patients who are dealing with periodontal disease, which is better known as gum disease. This is a bacterial infection of the gums and bone that support the teeth, and it’s actually the leading cause of tooth loss in the entire world! 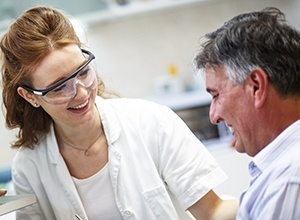 Our team will screen your gums whenever you come to see us, and should we spot any signs of gum disease, we’ll be able to quickly treat it with scaling and root planing to keep your smile safe and whole.